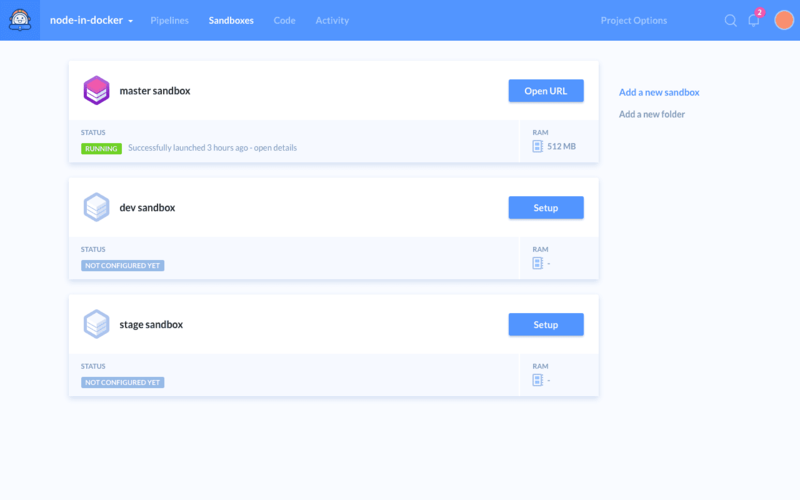 This month we’re going to launch the beta of Buddy Sandboxes: the complete remedy to your problems with development hosting. You won’t need a server anymore. Instead, every branch will receive an isolated environment (the sandbox). All you need to do is write code, push it to the repo, and buddy will automatically build and serve your app from the sandbox. In the end you receive a URL with your application already running. Isn’t that awesome? Every sandbox is a Linux container with the pre-installed components required to run your project. 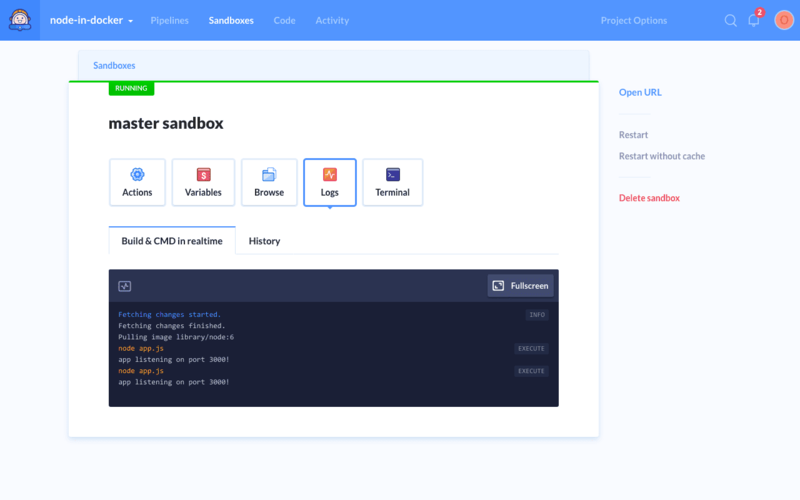 Clicking a sandbox brings up its control panel where you can define the components and the building process of your application. Everyone who’s ever worked with builds in Buddy will immediately feel at home. You can use your terminal to iterate with the sandbox just like with any other server, as well as browse and edit files directly in the GUI. Due to the recent release which proved pretty massive we have decided to postpone the beta to the first weeks of May. We’ll let you know as soon as it begins! Remember: Buddy is 100% customer-driven. Thank you for thousands of emails and Intercom conversations. It is you – the developers – who shape the software and decide how it should be developed. If you have any suggestions about new features and improvements make sure to share it with us – we read and discuss all of them!